Located in Oakland’s bustling Lake Merritt district, the Nook on Valdez is a community created specifically with urban lifestyles in mind and is slated for completion in early 2016. 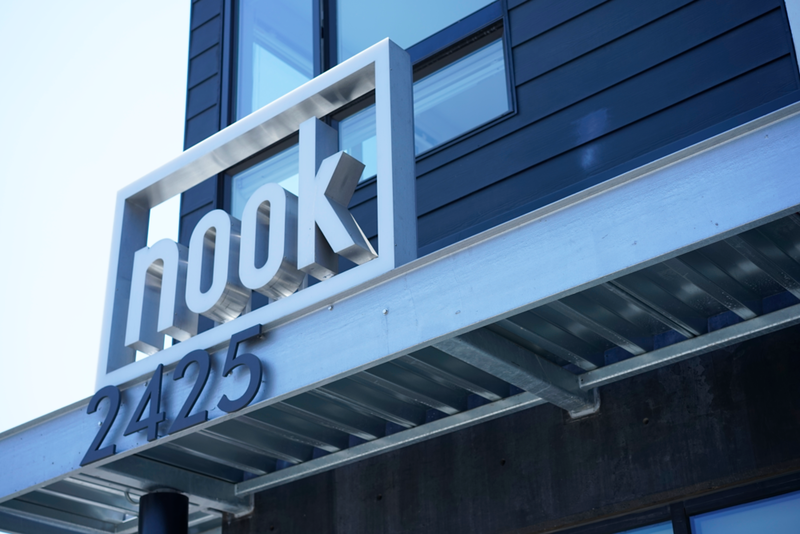 The Nook features smart and affordably priced micro housing units with a host of convenient community amenities that include a fully-appointed roof deck, car sharing and coworking located on premise. Collaborating fully with Trestle team, playground took the lead in branding and naming the property with a full suite that included logo, marketing pieces and a customized website to showcase the property. This fully integrated project also included facade design and materials selection, the interior design of all public and private spaces, including a resident's roof deck lounge, kitchens and residences. Now leasing at nookonvaldez.com.